Spin Digital advanced software solutions for encoding, decoding, and playback of ultra-high definition video based on the HEVC/H.265 video codec. Spin SDK: Spin Digital SDK simplifies the creation of innovative video playback solutions. With a high-performance implementation of video decoding and rendering, and with an efficient API, ultra-high quality media applications can be realized fully in software. 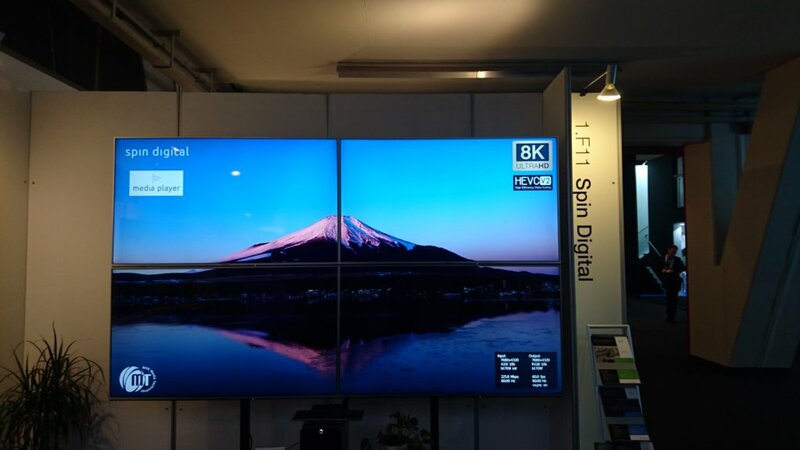 Spin Digital participates regularly in the most important trade shows of the media industry including NAB, IBC, and InterBEE.